Through the big auctionsite I acquired this decal. I don't even know whether it qualifies as a travel decal as I don't know what is on it ! 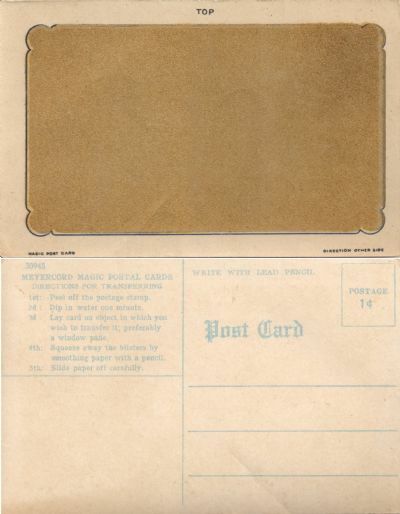 The item in question is a Magic Postal Card, made by Meyercord with number 30948. The recipient would have to soak the postcard in water, then place it on a hard surface and gently slide the backing paper off. He or she would then be surprised by the image that is now visible for the first time. If there is anyone out there who know what image is on my card I would like to hear from them. Another find was this sheet, at one time issued by decal-producer Meyercord. 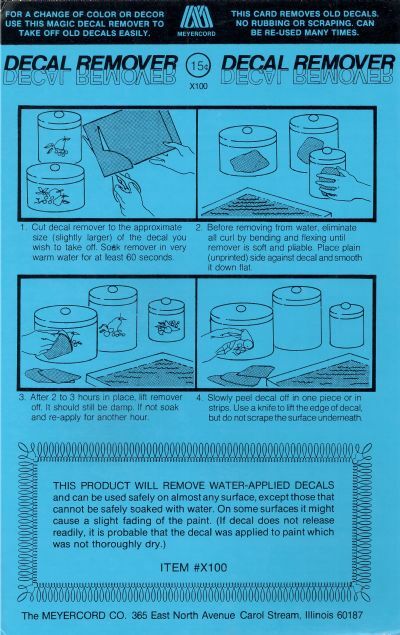 With it you could apparently remove decal decoration you no longer wanted without having to scrape or scratch. No idea whether they actually worked.